While I quite enjoyed Far Cry New Dawn, one of my biggest gripes with it is the way it hasn’t really changed the Far Cry formula. 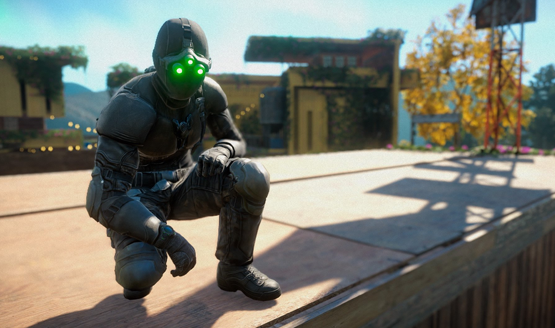 We’ve essentially been playing the same Far Cry game since Far Cry 3 released back in 2012. I’ve reviewed a lot of Far Cry games (Far Cry 4, Far Cry Primal, Far Cry 5, Far Cry New Dawn) and if one thing has been consistent in my experience, it’s been that the formula hasn’t really changed. Even as far back as Far Cry 4, I was talking about how it failed to innovate much over Far Cry 3. Since then, while there have been a few mild changes here and there, I feel like the Far Cry series has actually lost some of its more laudable features, boiling more recent games down to the very basic parts that make up a Far Cry game. Looking back at Far Cry 5, I was disappointed that the game did away with the depth behind the hunting and crafting system. Sure, you could still hunt animals, but upgrading your gear was no longer tied to finding specific animals or things out in the wild. It just felt aimless, and my gear upgrades and perks didn’t really mean all that much to me. Far Cry 5 was where they made side activities, repetitive as they are, mean even less than in prior games. By contrast games like The Witcher and Red Dead Redemption 2 take side activities and make them all feel like a part of the core experience. New Dawn does a little bit better on this front. It brings back some of that roadmap nature, with specific activities granting certain upgrade and crafting materials. It’s easy to know that if you need to get a few more circuit boards, you’ll be heading out on an Expedition or hunting down an epic animal (whose pelt can be traded for circuit boards). It’s not quite back to the ingrained systems that we saw in the likes of Far Cry 3 and 4, but it makes some pretty big leaps over how meaningless the extra activities felt in Far Cry 5. 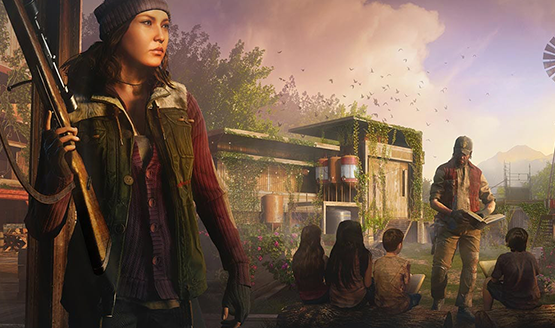 Tying character progression back into the world gives the apocalypse a little bit more life. It’s not much, but it’s a spark that I hope becomes a wildfire. RPG mechanics are beginning to seed themselves into just about every other genre of game, but there’s a great reason for that. Typically they can deepen the experience, providing additional layers to delve into beyond the surface any game. RPG mechanics create a feeling of growth and progression throughout a game, enabling players to take on more difficult challenges and feel more powerful while doing so. 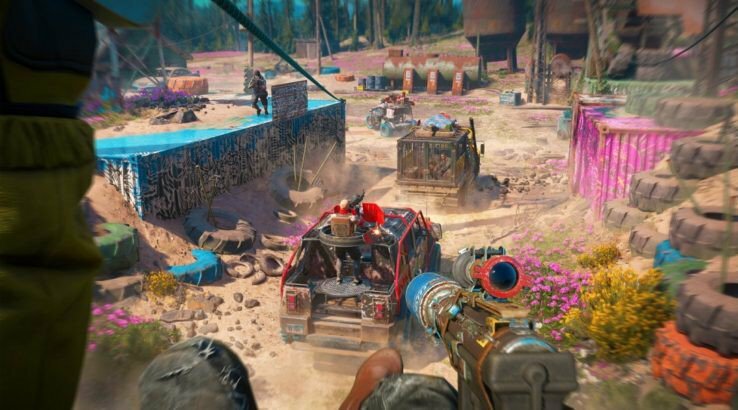 One of the standout features of Far Cry New Dawn was in how it provided a light RPG experience through the difficulty of enemies, weapon crafting, and replayability of outposts and expeditions at more difficult challenge levels. In a surprising twist, I ended up really engaging with Far Cry New Dawn’s weapons, outposts, and expeditions more than with previous games. As I aimed for the game’s Platinum Trophy, it was no longer about simply marking off a checklist of things to do around the map. Now I had to grind out gear for better weapons in order to take on more difficult challenges that ended up testing me more than just “send the dog in to kill off everything.” Now granted, the “grind” wasn’t all that much. In fact, I had everything I needed just from playing the game. And the challenging difficulties weren’t exactly Dark Souls or anything. But it started to do something for me that previous Far Cry games have fallen away from. Because of some simple added mechanics that created growth both in-game as well as my own skill set, there was an additional depth to how I interacted with the game. Ubisoft is no stranger to series that fail to innovate much beyond the core mechanics, but they’ve also made some very smart moves with those franchises. In 2016, Ubisoft took a year off of Assassin’s Creed’s annual release cycle in order to reinvent the game that many people felt was growing stale (or in some cases, straying too far from its roots). The result was Assassins’ Creed Origins, a game that was lauded for the way it infused RPG elements and added depth to the world. It was still Assassin’s Creed. But it was far more than a map with a bunch of icons and a checklist of things to do. Players felt like their character meaningfully progressed. There was difficulty and challenge and purpose. Far Cry might not quite be an annualized series (there were no releases in 2015 or 2017), but critic scores for the games have been generally trending downward since Far Cry 3 achieved the series’ highest rating of 91 on Metacritic in 2012. The following games haven’t been terrible. Far from it. In fact, they have pretty much copied Far Cry 3’s formula beat for beat with minor changes here and there. But none can quite recapture that lofty moment that the franchise reinvented itself for the first time. So maybe it’s time for a little change again, and New Dawn gives us a small window into what a new dawn for the series might look like. In my review for Far Cry Primal, I mentioned that the setting is a great distraction from the fact that we’re essentially playing the same game all over again. Ubisoft needs to take the focus off of coming up with bombastic new settings, and drive more energy into redefining some of what Far Cry is, hopefully without removing the things that have made past Far Cry games really good. Instead of getting simpler, Far Cry needs to up its complexity and invest in its players’ relationship with the intricacies of the game mechanics. Maybe it’s time for Ubisoft to look at what they did with Assassin’s Creed, take a year off, and reinvent the series in a way that maintains the Far Cry we know and love while making a more compelling game that drives engagement beyond the surface. With next-gen consoles rumored to release in 2020, Far Cry New Dawn should be the series’ swan song on the PS4. That would pave the way for a whole new RPG-laden brand of Far Cry on the PS5 that leans into deeper player growth and more engagement with the exotic locales in ways that previous games have only hinted at.